Back in Sept, 2009, I came across Kechara in the Star article "Trendy Buddhism". I was interested on this Buddhist organisation founded in 2000 by His Eminence Tsem Tulku Rinpoche of Gaden Shartse Monastery to avail the ancient wisdom of Buddha's teachings to practitioners in Malaysia and the surrounding regions. I visited Kechara centres at Petaling Jaya and Penang. 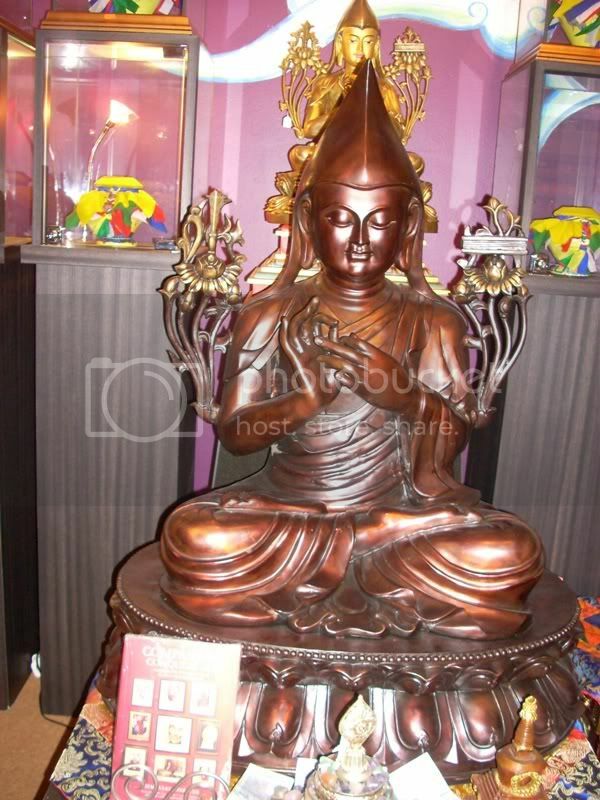 There the beautiful Lama Tsongkhapa's statue caught my attention. 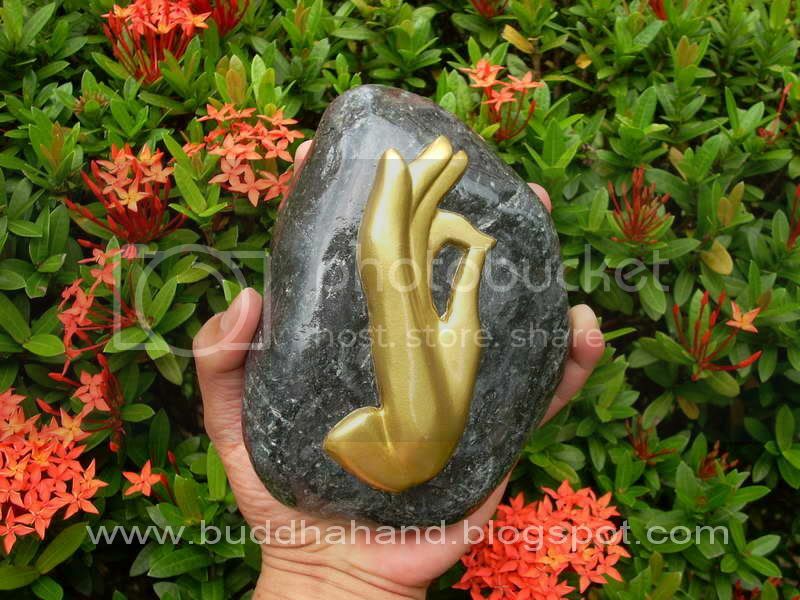 The hand gesture portray the classic Dharmaachakra Mudra, which represent the gesture of teaching usually interpreted as turning the Wheel of Law. 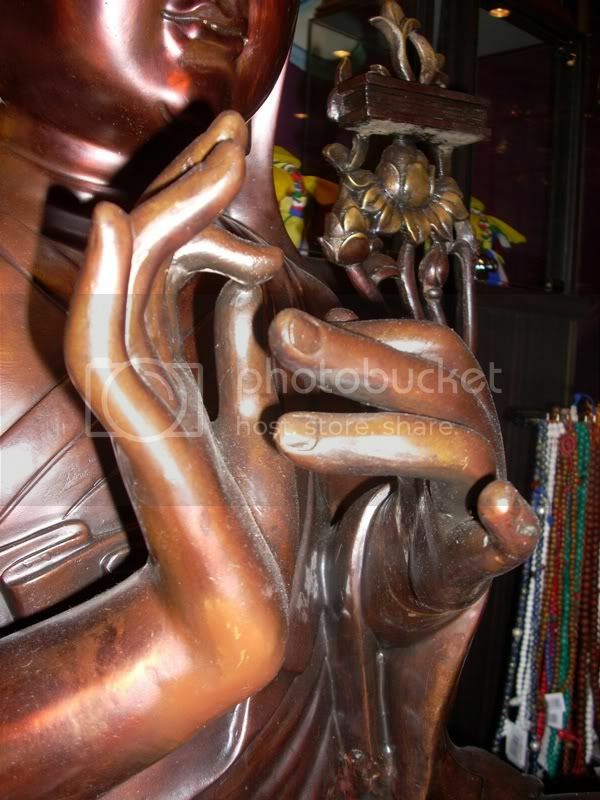 The hands are held level with the heart, the thumbs and index fingers form circles. 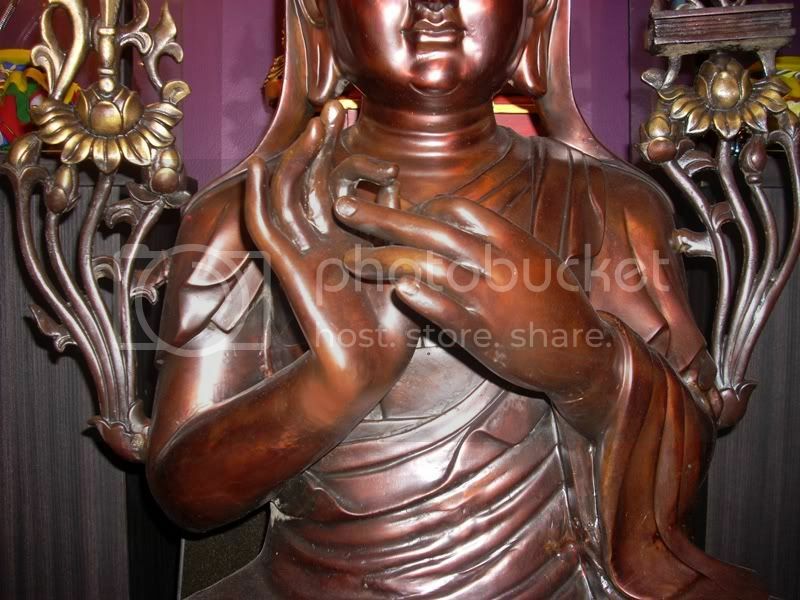 Here are my first 2 pieces work on the Kechara Collection. 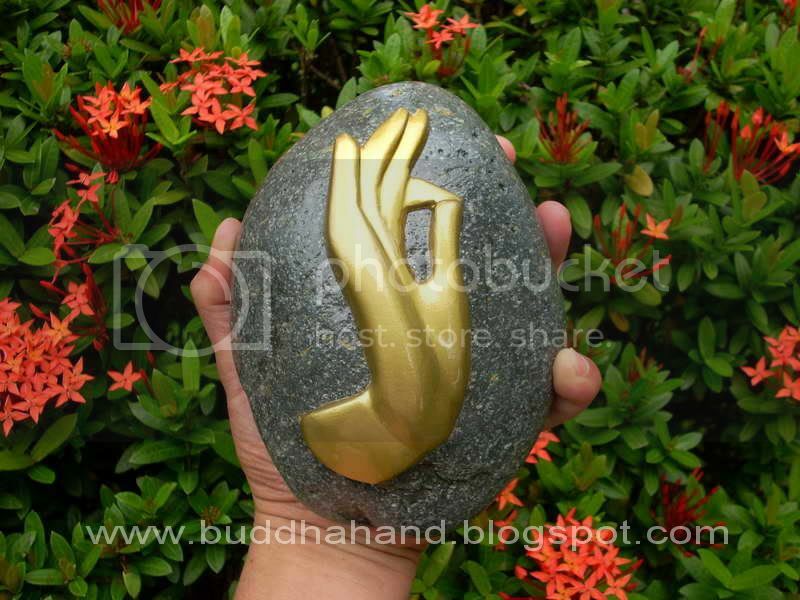 So just imaging "touching" Lama Tsongkhapa's hand on the stone?